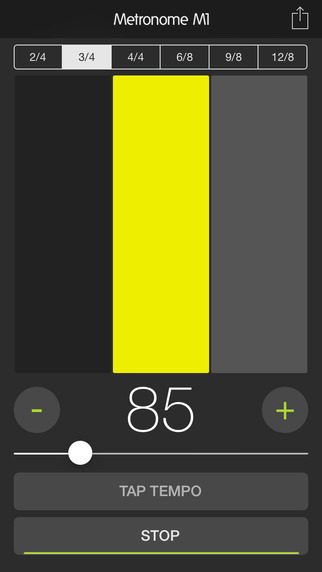 Metronome M1 by JSplash Apps is a Mobile Audio App. Metronome M1 is a simple and extremely accurate metronome for mobile devices. It comes with only the most essential features anyone will need from a metronome. The simple and clean user interface of Metronome M1 lets you get to practicing your instrument immediately without having to spend any time exploring the app. Metronome M1 supports a wide tempo range between 30-300 BPM, ranging from Grave to Prestissimo covering all popular styles including Lento, Largo, Adagio, Andante, Moderato, Allegro, Vivace and Presto. The "Tap Tempo" feature lets you quickly set your desired tempo with the ease of tapping a button. 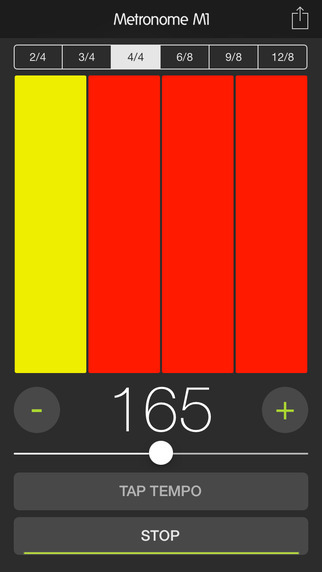 Metronome M1 for iOS is available on the App Store. Metronome M1 for Android is available on Google Play.